Historic night spots, beloved landmarks, and even modern marvels fill this impressive volume of color photography. 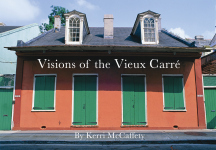 McCaffety highlights iconic scenes, such as St. Louis Cathedral, steamboats on the river, the New Orleans Museum of Art, and moonrise over the Crescent City Connection. 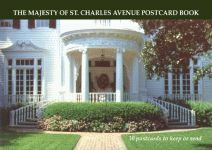 These structures come alive at night, accented by Christmas lights on St. Charles Avenue, fireworks over City Park, neon lights along Bourbon Street, and megawatt Mardi Gras floats. 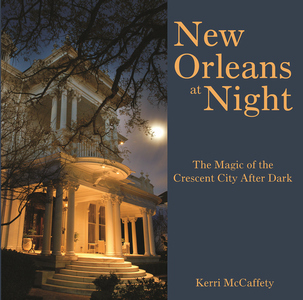 Whether as a gift for a visiting tourist or a memento for a seasoned local, New Orleans at Night is an inspiring celebratory look at the Crescent City after dark. 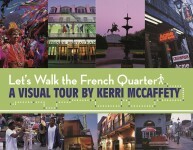 Kerri McCaffety counts among her accolades a Gold Lowell Thomas Award from the Society of American Travel Writers and an Author of the Year award from the New Orleans Gulf South Booksellers Association. 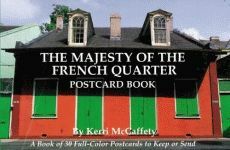 Her books with Pelican include Obituary Cocktail: The Great Saloons of New Orleans; The Majesty of St. Charles Avenue; Etouffée, Mon Amour: The Great Restaurants of New Orleans; Napoleon House; St. Joseph Altars; The Majesty of the French Quarter; Visions of the Vieux Carré; The Majesty of St. Francisville; and Let’s Walk the French Quarter.